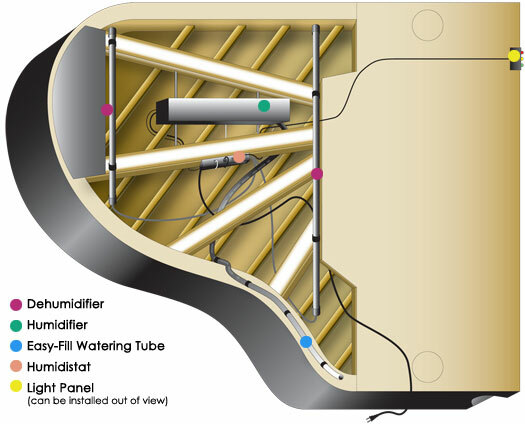 I am a Certified installer for Dampp-Chaser humidity control systems. Humidity changes are a very important factor in maintaining stability in your piano. It causes tuning instability, sticky keys, sluggish action,rusty strings and is also critical to the stability of your soundboard. Excessive humidity changes are the greatest cause of soundboard cracks. 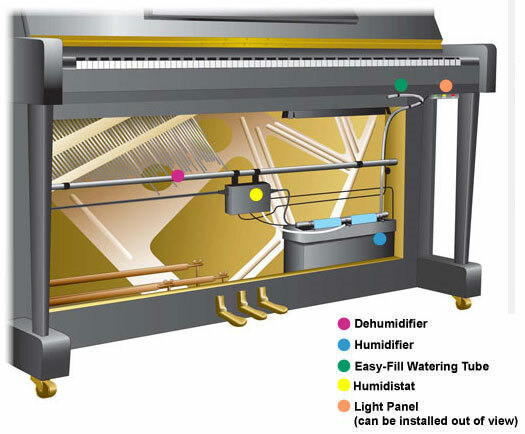 1 humidistat which controls the system to maintain about a 45% humidity year round for your piano.